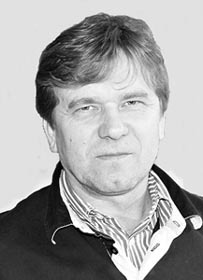 Dr. Jaroslav Slobodnik is the director of EI and has an extensive experience in implementation of the EU water legislation within numerous international projects. Among his specialisations are environmental science-to-policy interactions, integrated river basin management, development of monitoring strategies and environmental analytical chemistry. He is frequently responsible for the design of the web-based environmental information and data management systems and organisation of training courses/workshops/seminars on international scale. As a member of the advisory panel to the DG ENV of the EC he was involved in drafting institutional reform proposals of DWD and, more recently, as a member of the drafting group on the development of the Water Reuse policy instrument. In support of the DG ENV at the implementation of the WFD he is a topic leader on chemical status and chemical pollution issues in EU28. Since 2008 he is a Chairman of the NORMAN Association and since 2014 a leader of the WG Bioassays within the COST Action NEREUS. He has published over 70 scientific papers, book chapters and industrial patents. 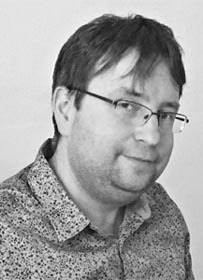 Dr. Peter Oswald is the head of the analytical laboratory of EI and researcher in the field of environmental analytical chemistry. He was involved as a senior researcher in several EU-funded projects, e.g. WARP, AWACSS, AQUATERRA, NORMAN, SOCOPSE, EAQC-WISE and AQAUREHAB and participated at the ecological and chemical status assessment of more than twelve river basins in Europe. He is regularly involved in organisation of numerous international training courses on the use of advanced analytical methodologies for analysis of WFD and DWD parameters and implementation of related QA/QC systems in water laboratories. His team frequently carries out screening of WFD PS, other river basin specific substances and performs inventories of industrial pollution. 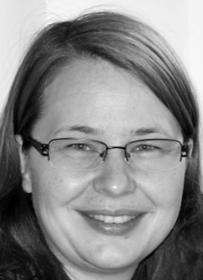 Dr. Ildiko M. Ipolyi is an experienced scientist involved previously in several FP projects related to the QA/QC of analytical data (VIRM and SWIFT-WFD) and projects on the science-to-policy interface (SPI-Water, TBT Impacts, STEP-WISE, SIPE). She was a coordinator of the Marie Curie training project TAQC-WFD and has an extensive experience in primary data manipulation for various purposes (Proficiency Testing and QA/QC aspects), knowledge management and capacity building. She was also responsible for EURACHEM secretariat for two years, being currently an active member of EURACHEM's PT Working Group. Since 2010 she is leading the NORMAN Association Database Development Team. 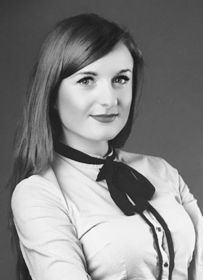 Natalia Glowacka, M.Sc., M.A., got her Master's degree in biotechnology with specialisation on biotechnology of microorganisms and has more than three years experience in the field of administration of national and international environmental projects in EI. Among her fields of expertise are project management, support at data flow management and development of renewable energy resources with focus on algae production. She is responsible for administrative support of several international projects incl. SOLUTIONS (FP7), SCORE and NEREUS (COST actions) and ANSWER (H2020). At the national level she was involved in preparation and management of seven projects dealing with various aspects of implementation of the WFD. In 2012-13 she was involved in logistical support, preparation and organisation of the Joint Danube Survey 3 - the biggest river expedition in the world organised by the ICPDR. She is also responsible for the website maintenance of the NORMAN Association - permanent pan-European network on emerging substances. She is currently involved in the "Water and Art” diplomacy approach in cooperation with the DG JRC.